How close can we get to one another? Meg Stuart has been dealing with this question now for over two decades. “UNTIL OUR HEARTS STOP” is also focused on the search for intimacy, that fleeting form of togetherness that provides such a thrill while it lasts. 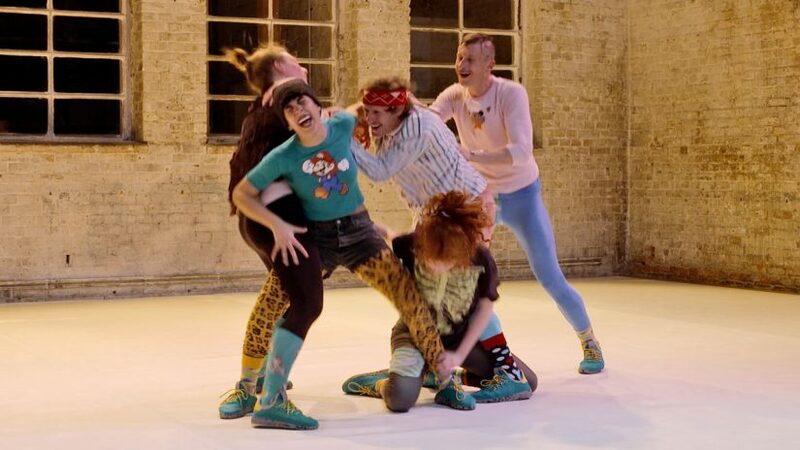 Six performers constitute a temporary collective that cooperates in a challenging and playful way, constructing their own, fantastic set of rules; indulging in yoga exercises or acrobatics, performing magic tricks and rituals, staging battles and experimenting with skin-on-skin contact beyond the usual inhibitions. It is not so much the themes or the sequence of absurd, tender, aggressive or ecstatic scenes which unites “UNTIL OUR HEARTS STOP” as a performance: it is more the rhythm – the ebb and flow, acceleration and stasis – that creates a collective space of desire and illusion. The space is initiated and amplified by the vortex-like, unbridled sound of the music trio Samuel Halscheidt (bass), Marc Lohr (drums) and Stefan Rusconi (piano/trumpet). 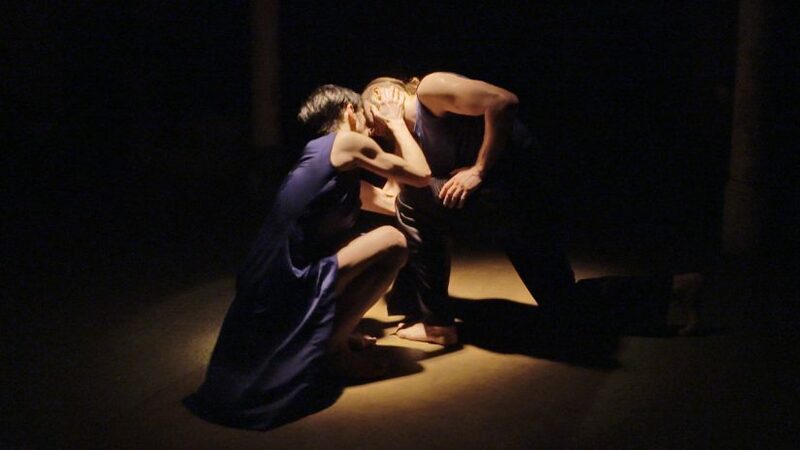 “UNTIL OUR HEARTS STOP” is a performative experimental set-up in which the experience of physical limits can explode mental barriers: naked, two people are separated by their skin, but through play, they become one experimenting, sensuous organism. Meg Stuart is a choreographer and dancer, living and working in Berlin and Brussels. 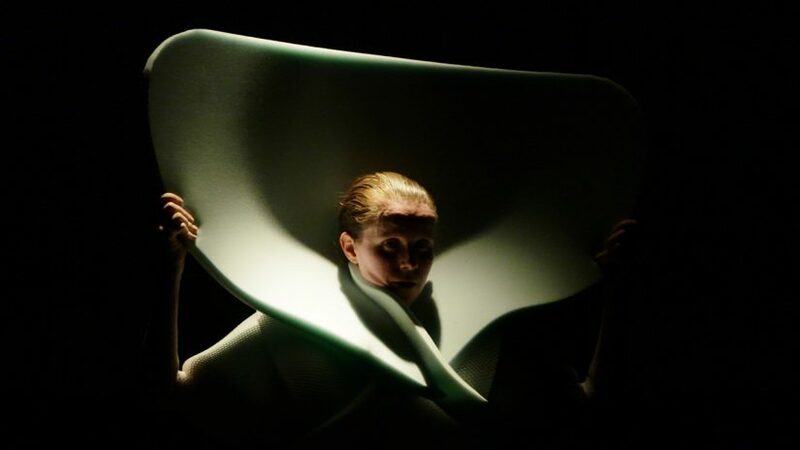 After her dance studies at the New York University she created – on the invitation of the Belgian Klapstuk-Festival – her first evening-length piece “Disfigure Study” (1991) which launched her choreographic career in Europe. Interested in devising her own structure through which to develop artistic projects, Stuart founded Damaged Goods in Brussels in 1994. 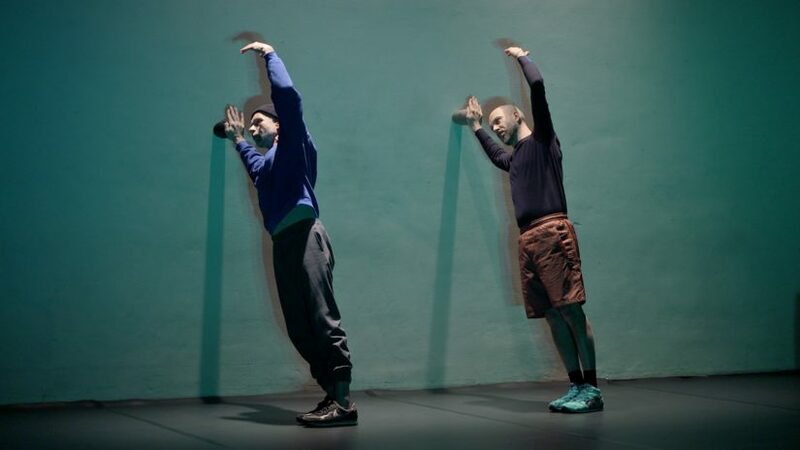 Together they created more than thirty productions, ranging from solos to large-scale choreographies and including site-specific creations and installations. 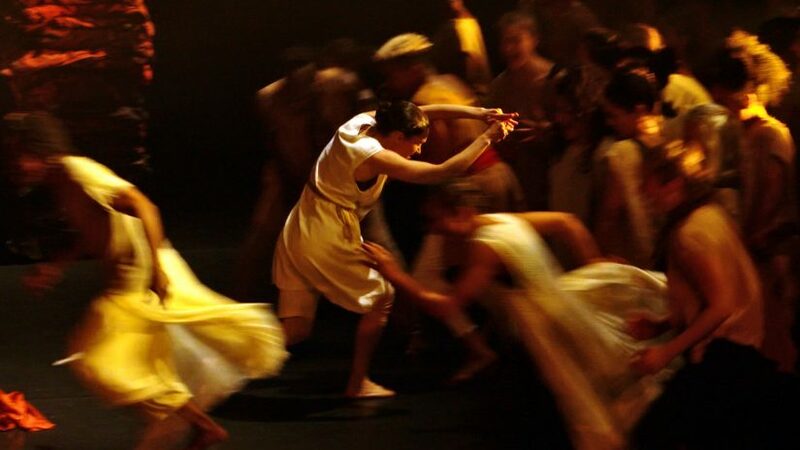 Stuart strives to develop a new language for every piece in collaboration with artists from different creative disciplines and navigates the tension between dance and theatre. Over the years she collaborated with Pierre Coulibeuf, Philipp Gehmacher, Ann Hamilton, Gary Hill, Benoît Lachambre, Jorge León and Hahn Rowe amongst others. The use of theatrical devices, in addition to the dialogue between movement and narrative, are recurrent themes in her choreographies. Her artistic work is analogous to a constantly shifting identity. 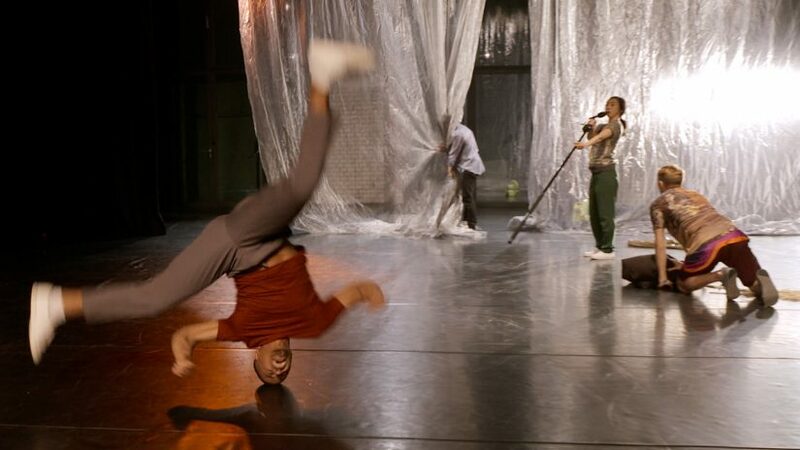 It constantly redefines itself while searching for new presentation contexts and territories for dance. 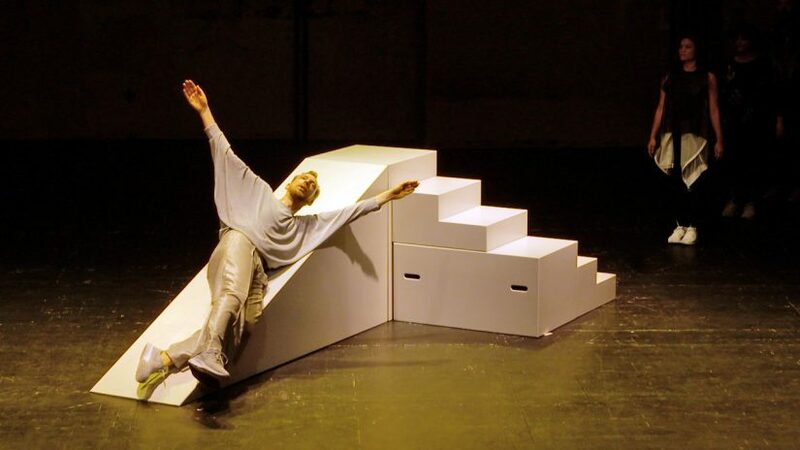 In 2013 “Sketches/ Notebook” premiered at HAU Hebbel am Ufer and re-ran in 2014. 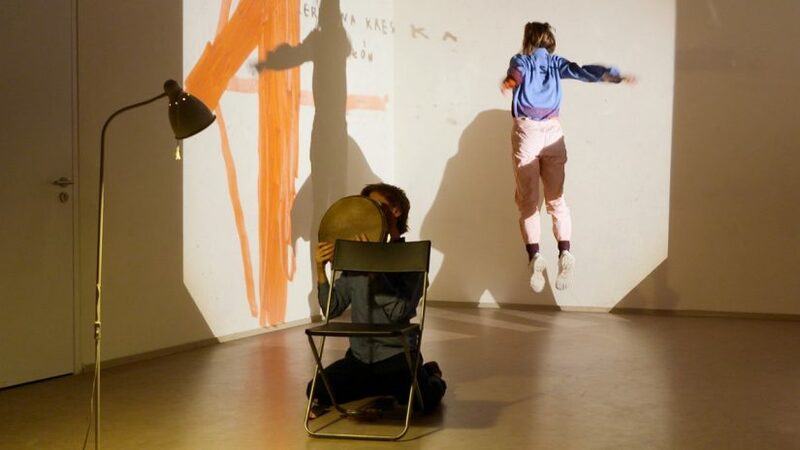 It was developed in the frame of a residency at HAU with a group of performers, musicians, and visual artists. In 2015 she came to HAU with her works “Hunter” and “VIOLET”. In 2016 she hosted “City Lights – a continuous gathering” at HAU, in collaboration with an all-female group of Berlin-based artists. 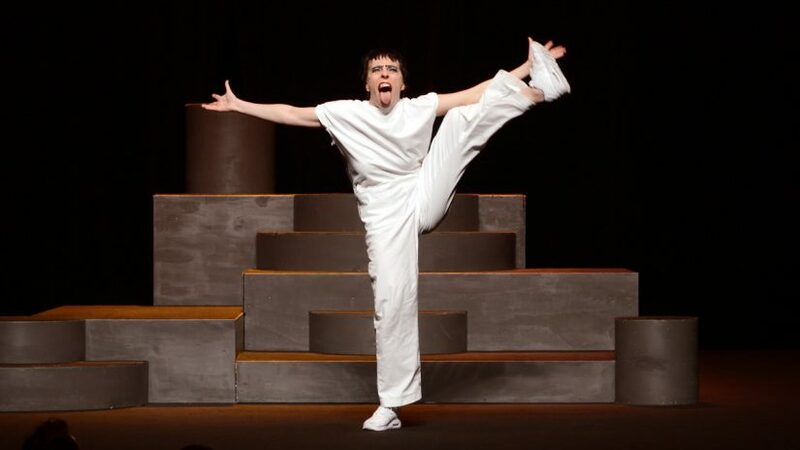 In the same year “UNTIL OUR HEARTS STOP” was shown as part of Tanz im August. In 2017 HAU invited her with “Shown and Told” (together with Tim Etchells) and a re-run of “VIOLET”. The performance is dedicated to Paul Lemp, friend and musician of Meg Stuart/Damaged Goods.